More and more, home owners in the United States and elsewhere are finding that the traditional methods of slab and foundation construction do not suit their needs or communities. Of course, those living in low-lying areas with high water tables and other environmental challenges already understand that there are alternatives, but they might not understand all their alternatives. Whether you are looking into house lifting for the first time or you’re well-versed in the need for this procedure, understanding helical screw piles means understanding how to install a building in a challenging site swiftly. These inventions were first used in the early nineteenth century, and they consist of a galvanized steel shaft that has curved disc around its base, allowing it to be screwed into the ground through a variety of drilling methods. First used to stabilize construction with hand-drilled posts, it is now a mainstay building method used in a variety of challenging environments. 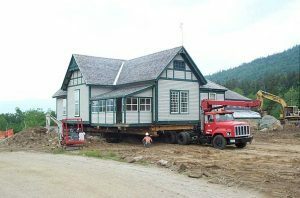 If you are looking into house lifting and restumping, investing in these economical and long-lived support structures might make the lifespan of your investment considerably longer. You’ll need to talk to a professional who understands the terrain at your property to know for sure, but it’s often the case, and worth looking into. Even when the estimated life span of helical screw piles is not necessarily longer than alternatives, the extra stability inherent in their construction often makes them a great idea. They can be installed quickly, and they are sturdy throughout their lifespan, since the discs help act as stabilizers and anchors once the piles are installed in the ground. Traditional building methods are quickly forgotten whenever there are innovations that lead to better results, so when a building method survives for two centuries to see widespread modern use, you know it has been developed and tested, and that it stood that test of time and came out looking like the best option, and that is worth considering. To learn more, talk to a house lifting specialist today.